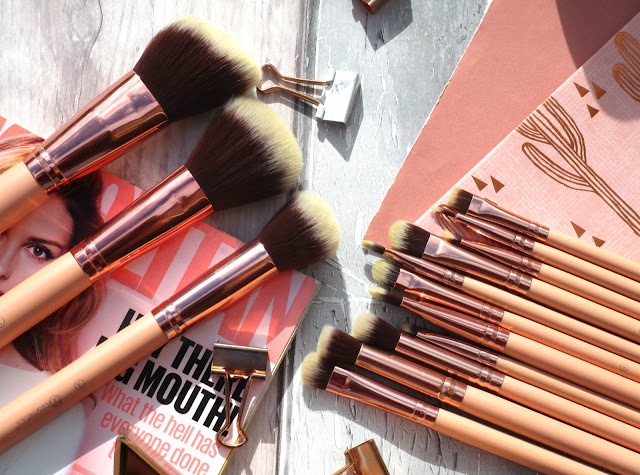 I'm a serious makeup brush addict, I just cant resist collecting makeup brushes and putting them to the test and recently I got the most beautiful makeup brushes by BH Cosmetics to try. I'm totally new to BH Cosmetics so I had no idea what to expect from these brushes but I have to put it straight out there... I love them! 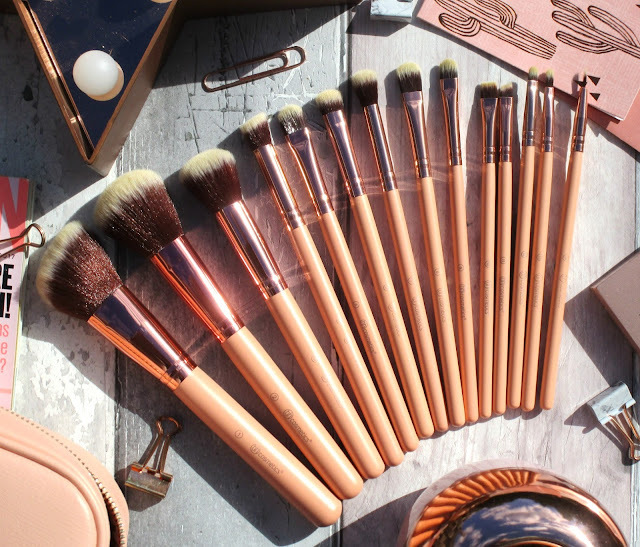 The BH Cosmetics Chic Brush Set* consists of 14 cruelty free - synthetic brushes which all have gorgeous peach/rose gold coloured handles and two tones bristles, I mean just look how lovely they are, they even come with a matching cosmetics bag too! The set includes all the essentials you need for the face, eyes and lips from beautifully blended eye make-up looks, to sharp on point brows, pouty lips and even a flawless base, the list is literally endless with what you can do with these beauties! 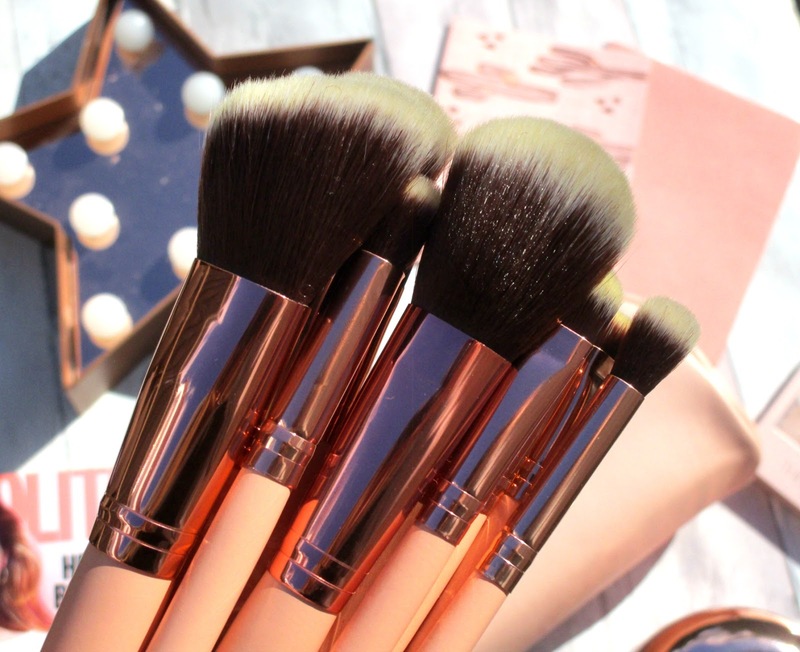 Because the brushes are synthetic they can all be used with creams, powders and liquids and honestly beaut's, these are hands down the softest brushes I have ever felt in my entire makeup obsessed life! They feel so gentle and fluffy against my skin and are not scratchy in the slightest! 1. Angled Powder Brush - Perfect for setting powder, bronzer and contour. 2. 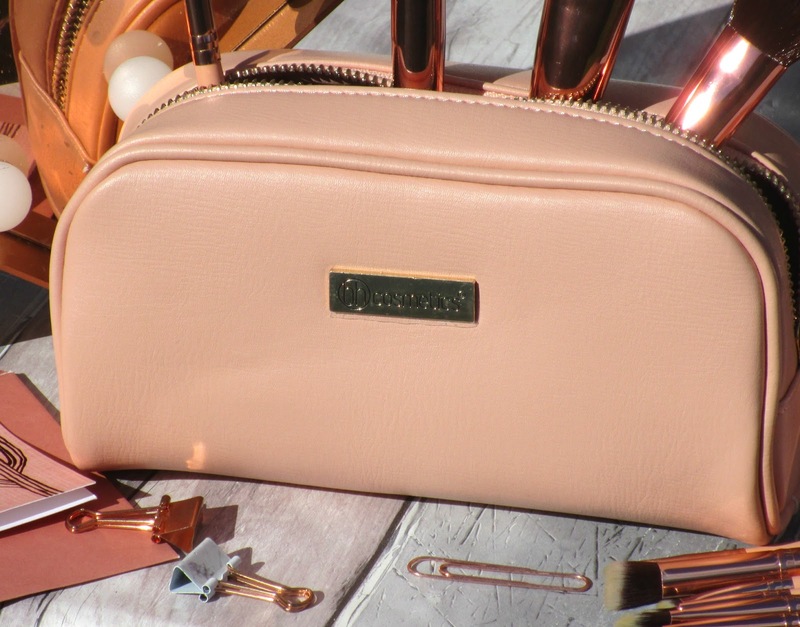 Medium Powder Brush - Perfect for bronzer and blusher. 3. Small Powder Brush - I've actually used this to buff in liquid foundation and for powder highlighting and it works amazingly at both. 4. Angled Crease Brush - The perfect crease blender as well as highlighting smaller area's of the face like the nose, cupids bow and brow bones. 5. Medium Flat Eyeshadow Brush - Great for packing on glitter shadow. 6. Medium Oval Eyeshadow Brush - Great for packing on eyeshadow. 7. Eyeshadow Blending Brush - An essential for blending out all eyeshadow work. 8. Concealer Brush - For blending in concealer around the eyes or striping on cream contour. 9. Small Concealer Brush - For concealing blemishes and smaller hard to reach areas. 10. Flat Eyeliner Brush - Great for carving out brows with concealer. 11. Angled Eyeliner Brush - Perfect for applying gel eyeliner or filling in brows. 12. Oval Lip Brush - Great for creating the perfect pout. 13. Standard Lip Brush - Much like the oval lip brush this one is also great for getting the perfect pouty lips. 14. Precision Eyeliner Brush - The most precise eyeliner brush. It's hard to choose my favourite brushes out of the 14 because I've actually been using them all a lot and their all so versatile, the Angled Crease Brush and the Eyeshadow Blending Brush have been my essentials when it comes to well blended eyeshadow looks, they literally blend like a dream, and the Medium Flat Eyeshadow Brush has been my go to when I want to pack colour onto my lids! The three face brushes I have been using every single day for setting powder, bronzer and highlighter and the Angled Eyeliner Brush I've actually been using for my brows which works a treat! Overall I'm so impressed with this 14 Piece Set by BH Cosmetics, you honestly wouldn't need any other brushes at all if you got this set because it has everything and each brush is so versatile. They all work like a dream too and never shed, they look absolutely stunning and they are the softest brushes I own, what more could you ask for! My first experience of trying BH Cosmetics has definitely been a good one and now I really want to try some of their makeup too, their palettes look lush! 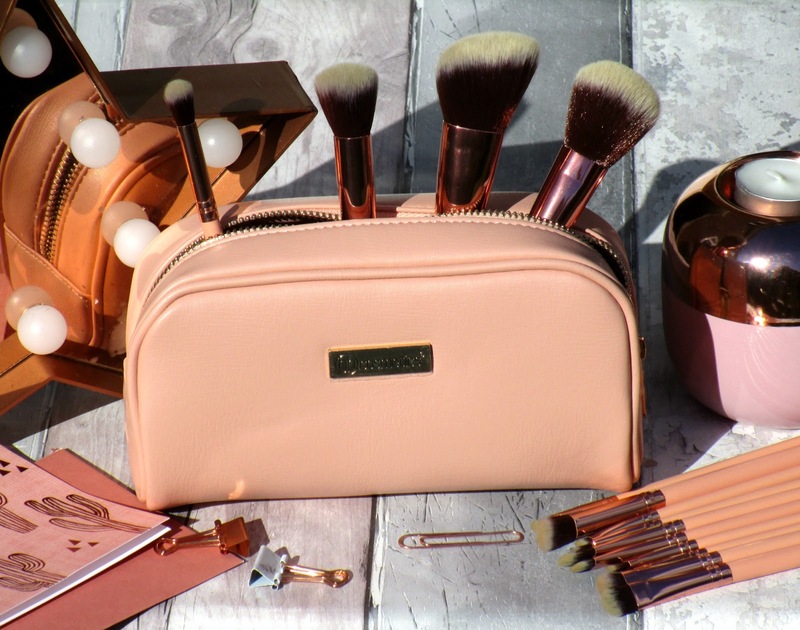 You can find the BH Cosmetics Chic Brush Set on the Beauty Chamber website for £23.00 HERE.